Small and medium-sized businesses (SMEs) in Turkey are increasingly concerned about the scale of the climate challenge facing their operations. In a country where water scarcity is a growing problem, their anxiety is not unfounded. SMEs also struggle to decide on the most effective strategies to reduce climate risk, according to a ground-breaking study, funded by the European Bank for Reconstruction and Development (EBRD) and the International Finance Corporation (IFC). The study identifies opportunities for business investment to effectively manage the risks associate with climate change. 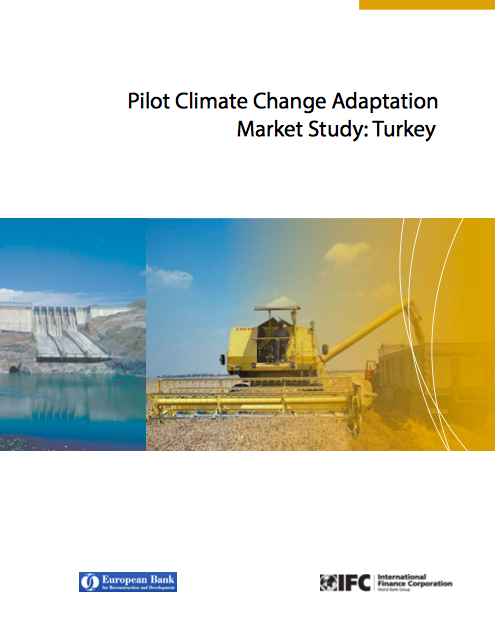 The ‘Pilot Climate Change Adaptation Study: Turkey’, identifies priority actions for Turkish businesses to increase their climate resilience. The research, undertaken by Acclimatise, aims to help businesses identify the measures that make business sense. A podcast about the report may be found here.